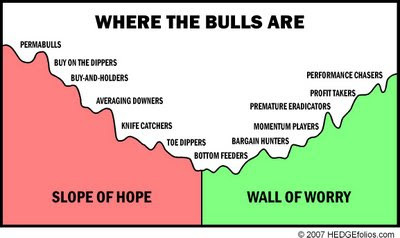 Are we climbing the “Wall of Worry”? First and foremost, what is the proverbial “wall of worry”? If bad news is bad…why is it that good news (or even mildly good news) … is also perceived as being ‘bad’? Granted, this is not always the case but it certainly is now. What is the “wall of worry”? Two weeks ago we were in Chicago for discussions with analysts, economists, and elite portfolio managers. What’s interesting is that the majority of the investing public is living in fear and at their utmost pessimistic levels of recent history, yet the underlying economics and pure fundamentals of the stock market actually counter such negative and extreme doom & gloom sentiment. Is it time to take a bite out of Apple? 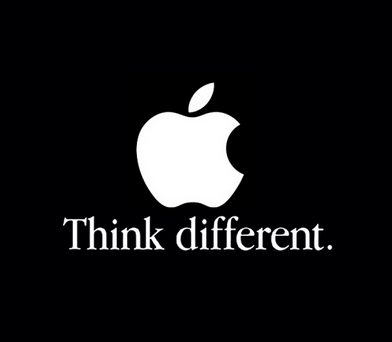 For years the world has had a love affair with Apple (AAPL). It has become an amazing company delivering mind-boggling performance to its shareholders while creating a loyal following with its consumers. 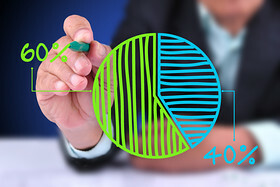 Over the last 10 years it has rewarded its investors with returns over 1,400%! As volatility has returned to the markets many are asking if this ship has sailed and whether Apple will become another technology stock of the past, replaced by the new ‘tech darlings’ of today. In our opinion… this statement couldn’t be any further from the truth. We feel that the market is presenting investors with a rare buying opportunity in a phenomenal company that is positioned to remain an industry leader for years to come. For a refresher, stock market corrections are short and sharp declines of -10% to -20%. They’re typically accompanied by sensationalized stories such as the European sovereign debt crisis, Greece’s exit from the Euro, or the “fiscal cliff”. For all those investors that ducked for cover and went to cash during the last correction you saw the Dow Jones move up over 6,000 points. Were you able to correctly “time” your reentry into the market? No…and you’re not alone. No matter what you read or hear there is not a single person or professional advisor that owns a crystal ball and can consistently time the market. If you’re new to this monthly series…remember what we’re doing. This exercise, as we like to call it, is not an attempt to pick the best stock or “time the market”. We leave that futile task to those who own time machines and accurate crystal balls. For a refresher, see our first article on the MPG Core Tactical 60/40 Portfolio. Here’s the current summary of the MPG Core Tactical 60/40 portfolio mix, which is updated as of this writing (September 1, 2015).